When it comes to instore marketing, Point of Purchase (also known as Point of Sale) Displays have traditionally been the go-to for brands and grocery retailers as an absolute basic requirement. 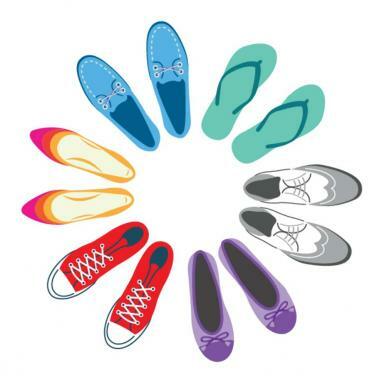 In 2019, there’s a myriad of new approaches to attract and convert shoppers on the path to purchase – everything from integrated campaigns (including both above and below the line activities) to occasion-based marketing are drawing attention, however, the fastest growing and perhaps most exciting of these is Experiential. The beginning of the 21st century has been marked by the growth of digital, and bold brand experiments. In a day and age where distractions are rife and attention spans are short (and shrinking!) 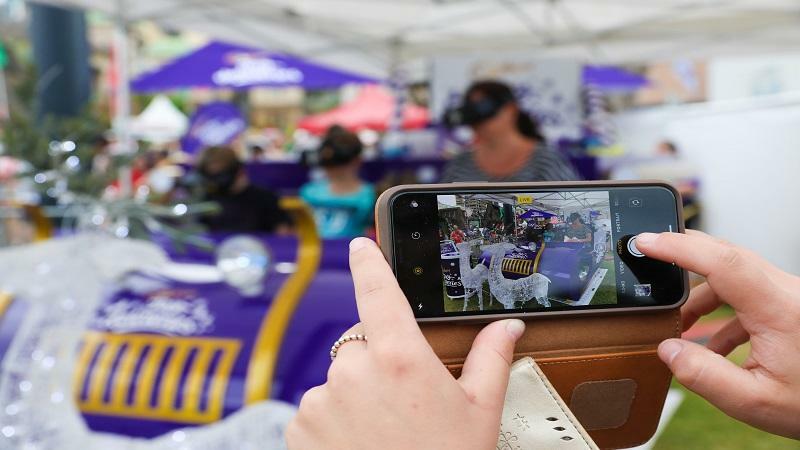 Experiential campaigns are a good way to grab the attention of your target demographic. There are several ways to do this, and the type of experience you chose must be relevant to your brand. An experience that does not connect with the intended buyer of your product, or does not encourage conversion (be in in the short or longer term) is simply a waste of money – experiential for the sake of experiential does not work. Some examples of types of experiential events include stunt and guerrilla activations (popular in the mid-2000s), pop ups, sampling, sponsorship activations (think Woolworths’ sponsorship of the Australian Open), cause marketing (partnering with a charity or cause); influencers (you’ll find a billion of these on Instagram and You Tube) and retailtainment (retail experiences as entertainment – KitKat Chocolatory in Melbourne). No matter what type of experiential activation or event you chose, the key to making it successful is making sure all ideas are backed by a sound strategy that fits your desired outcome. It should also be connected to your product and the rest of the marketing mix (sounds basic, but you’d be surprised how many campaigns forget this!). Make sure your planned experience suits the demographic. Setting a target demographic of 18 to 55 year olds is way too broad – this age bracket is most of the human race! Be selective in who you want to engage and what you want from them in return - are you building a database, product awareness or sales? Be bold. Many brands and retailers starting out err on the side of caution – that’s not what experiential is about. The aim is to have your target market exploring, triggered and engaged by the experience – tug at their heartstrings, surprise and shock, and make them feel something forwards your brand or product. Finally, don’t forget social media. A socially shareable event or activation can generate thousands, and in some cases, millions more interactions with your brand. Extravert and OPG Global solutions worked with Red Bull Australia for a campaign celebrating the 2018 Formula 1 Rolex Australian Grand Prix and to promote Red Bull’s limited edition cans featuring popular Australian F1 driver, Daniel Ricciardo. The opportunity was to leverage what people in love about Dan, being his personality and smile. Fans could show their support for Dan and ‘Smile Like Dan’ by snapping the code on the can, which unlocked the Daniel Ricciardo Snapchat lens. 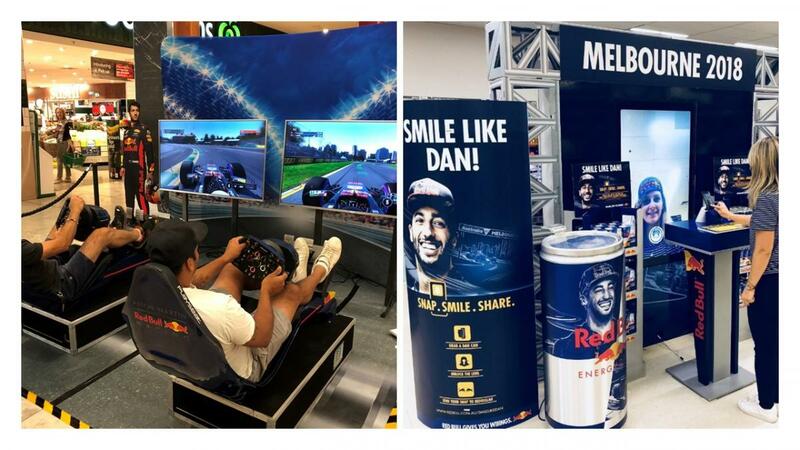 Consumers who engaged with the lens had the chance to win the ultimate Red Bull experience to meet Dan in Melbourne. This was teamed a suite of creative instore assets to bring to life Smile Like Dan instore. The campaign included visual development, display design, and retailer adaptations through to customised flagship store installations and activations in Melbourne. The Snapchat integrated display was first of its kind within semi-permanent POS. This technology connected the online world to instore, encouraging consumers to engage with a projection of the Dan lens. 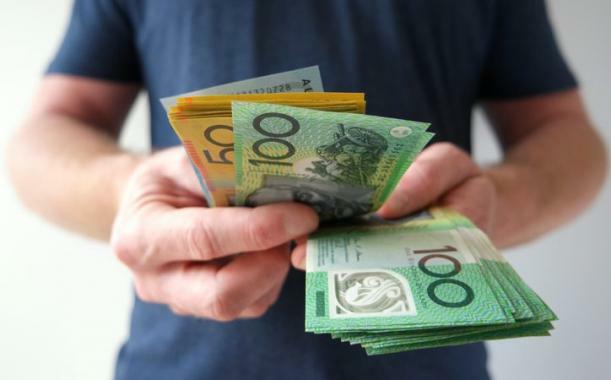 The Australia specific activation resulted in baseline sales uplift and strong consumer engagement including attracting new consumers to the brand, and gained exceptional customer support. 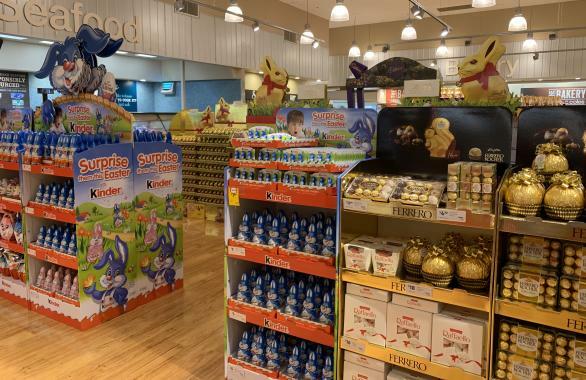 XPO Brands worked with Cadbury to create a one of a kind Christmas experience to make Cadbury synonymous with the rituals of the season and deliver significantly higher market impact than the year prior. This included a bespoke virtual reality experience that took participants 35,000 feet up in the air and back past Australia’s brightest Christmas street lights with Santa in the cockpit and Rudolph lighting the way. 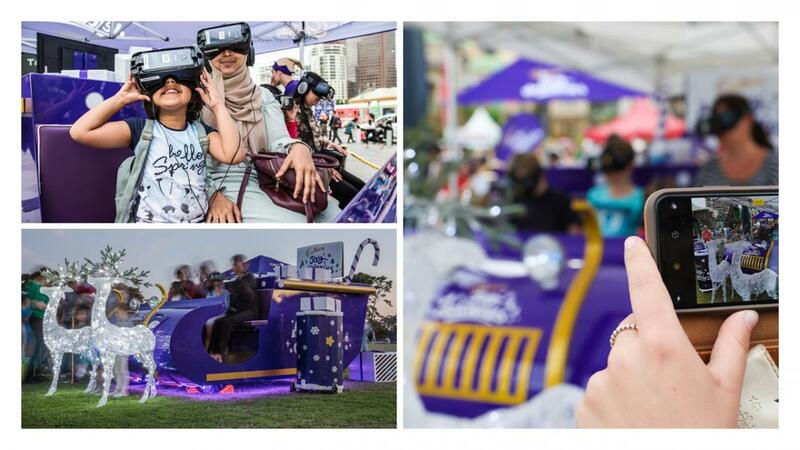 An integrated campaign, it included branded content delivered as an immersive VR animation, through to shareable photo opportunities in the sleigh, free chocolate samples, instore gifting personalisation and Cadbury Elves to surprise and delight shoppers. The experience was rolled out to the masses to increase impact, with the VR experience used in six of the largest shopping centres over the Christmas trading period, community Christmas Street Light locations, Christmas events including Carols in the Domain and more.